A NEW horror film has landed on Netflix that's sure to send a shiver down the spine - not least because it was shot in Ireland's most haunted house. The Lodgers stars Charlotte Vega and Bill Milner as Rachel and Edward, a pair of twins living in a run-down mansion in 1920s rural Ireland. Trapped within the confines of the dilapidated estate because of a strange curse, the pair must be in bed by midnight and are not permitted to leave the property for fear of death. However, their constrained existence comes under threat when Eugene Simon's character, an Irish soldier returning from the first World War by the name of Sean, arrives on the scene. Soon enough, he's struck up a romance with Rachel that could have grave consequences for all concerned. A classic ghost story in the mould of Henry James' The Turn Of The Screw, Brian O'Malley, best known for his 2014 horror effort Let Us Prey, directs. But it's the film's setting that likely to be of particular interest to fans of all things spiritual - Loftus Hall. Located up in the Hook peninsula of County Wexford, Loftus Hall's reputation for strange and supernatural sights precedes it. Built in 1350 during the time of the Black Death, the story goes that one dark and stormy night a mysterious stranger approached the Hall on horseback. He claimed to be stranded there after his ship ran aground in rough seas and was invited to take shelter by the Tottenham Family, who were residing in the hall at the time. According to the legend the young woman of the house, Lady Anne Tottenham, soon took a shine to mysterious man. Infatuation eventually turned into love, but Anne's romantic feelings would be short-lived. During a card game with the man one night, Anne clumsily dropped her cards on the floor. Bending over to pick them up, she made a shocking discovery: the mysterious stranger's feet were not that of any human man, but instead the cloven hooves of Beelzebub, the devil himself. Quick as a flash the man disappeared, shooting through the roof of the house in a ball of flames. But Anne never recovered from the encounter, living out her days in a state of solitude and shock, locked within the safe confines of the tapestry room. Some say she still walks the corridors of the house in ghostly form - and there are stories to back that up. Back in the summer of 2014, Thomas Beavis made a truly shocking discovery while looking through his holiday snaps from a trip to Loftus Hall that same year. 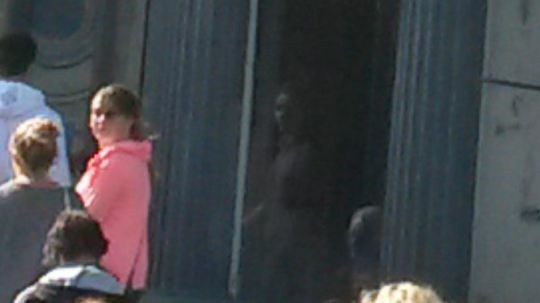 There, in the background of one snap, looking out of the window of the hall, appeared the ghostly outline of a young girl. It begs the question: Can any ghostly apparitions be found lurking in the background on The Lodgers? You'll have to watch the film and get back to us. 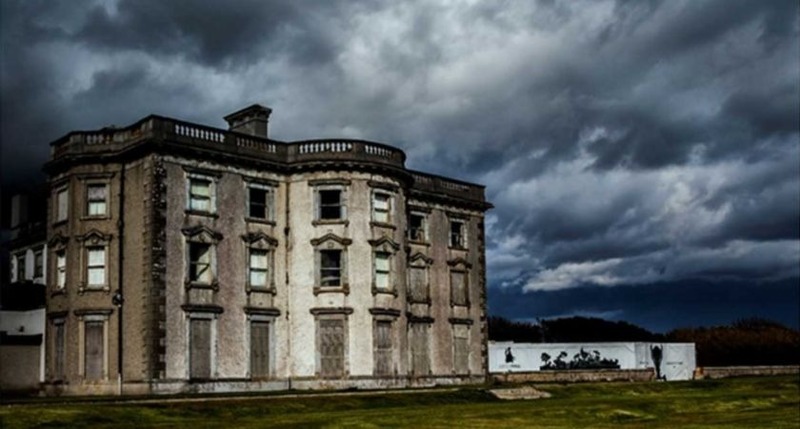 In he meantime, if you want to know about more of Ireland's most infamous haunted houses, check out our list of the nine scariest places here. Video: Is this the most haunted house in Ireland?